In order to be able to spot the same vision implementing this desired ‘science of man’ in subsequent education ‘reforms’ we have to truly understand what was sought at conferences we were not invited to, even if we could get around the technicality of not being born yet. That’s what old books are for. Professor Robert S. Hartman also spoke about creating a ‘moral science’ and a ‘science of values’ by controlling the meaning people associate with words and images. As we read his intentions, let’s just imagine how much fun he would have had with his social engineering desires with access to today’s Digital Learning mandates, where the Images are controlled and dramatize whatever the creator desires for students to believe. In the kind of naivete and hubris that can be hard to read in hindsight, Hartman said that “as natural science has changed the world, so moral science, once it is developed and fully known, is bound to change the world.” In fact, he believed that “There will come a time when the problems and conflicts that now plague us will be as forgotten as the tortures of the middle ages and the clubs of the cave men.” Talk about famous last words. And we wonder why Opt Out is to be no longer allowed once a state or district gets “meaningful formative assessments” or why we all need SMART energy meters. So much going on as the cards have to now be laid down. The End Game we saw in the UN’s Ban Ki-Moon’s “Dignity For All by 2030” global program commences in earnest in our children’s classrooms and in their very ‘desired mental states’. That latter graphic phrase was used at the March 8-13, 2015 59th Annual CIES Conference held at the Hilton in DC and called “Imagining a Humanist Education Globally Ubuntu!” Take a look at it and keep that phrase in mind as we move through today’s tsunami of disclosures. Anyone wanting a link between today’s disclosures, GEFF, the UN System, the Common Core, and School Choice can look at all the links laid out in this bio of former Intel Chairman, Craig Barrett, on the Board link of an expanding chain of Arizona-based Charter Schools. http://bsischools.org/about-us/board-of-directors Most links should ring a bell, but it is the co-chairing of the Skolkovo Foundation Council that is behind GEFF and the Re-Imagining Futures Agenda by 2030 with MIT, Russia, and Silicon Valley that brings so much into the same circle with what I have been covering in recent posts. Plans for Us and our Children is one way to put it. David Coleman, confessed Common Core Main Architect and now President of the College Board, just spoke at the NYT Schools of Tomorrow Conference about changes to the SAT. He said that there would be no more “SAT-type words” that few children recognized and only showed up in a high-stakes arena. Instead, everyday important words like “analyze” and “synthesis” would be looked at to see if prospective members of the Ideological Elite were interpreting concepts and themes correctly, and showing proper use of the Dialectic, after their years of carefully selected Learning Experiences. This would of course give a final glimpse into the Desired Mental States to see if the youngster merited a slot in one of the higher ed institutions creating the Planners of Tomorrow prepping us all for the 2030 Agenda. Usurp is still a useful word in the 21st Century, but only if accurately describing and conveying to others what is being planned for us and our children, remains a desired goal. It does not fit though with what the Planners want to allow. As we will see, Workforce Readiness is the Euphemism-du-Jour to cover up a prescribed state of deliberate ignorance, coupled to cultivated false beliefs, and overlaid with new communitarian values. To explain why there is a global call for Competency, let’s look to a 1978 book originally written in Polish by Leszek Kolakowski and translated as Main Currents of Marxism: The Breakdown . Frustrated, his words tell us precisely why ignorance is now needed. “Human thought developed and produced science by enlarging the area of knowledge that was not subject to arbitrary judgement, thanks to the Platonic distinction between knowledge and opinion, episteme and doxa. This distinction, of course, leaves no room for an ultimate, all-embracing synthesis [bolded by me as a reminder of Coleman’s desired new SAT concept of knowledge] in which thoughts, feelings, and desires are merged in a higher ‘unity’. [Alert readers recognize the whole purpose of a Whole Child emphasis and what goes by the euphemism ‘Excellence’ in education]. Relevance, one of the New 3 Rs. Perhaps instead of declaring facts ‘irrelevant’ they can just be asserted as Inequitable and Not Accessible to All Students, especially given our more diverse 21st Century population. Maybe those logical and empirical rules can be asserted to be inappropriate for a “culturally-responsive curricula and pedagogy” and inconsistent with a Real-Life problem-solving emphasis where a single, unambiguous answer is supposedly highly unlikely. Yes, I am listing many of the explanations for all these shifts we keep hearing, but Kolakowski grasped what is still going on because he lived in such a police state. “The object [striven for] is a unified body of knowledge which despises such trivial aims as technological progress, and whose merit is to be one and all-embracing. But there can only be such knowledge if thought is allowed to shake off the external compulsion of logic; moreover, since each person’s ‘essential’ intuition may be different from that of others, the spiritual unity of society must be based on other foundations than logic and facts. P-12 education reforms globally have been created around a hope that there can be two ways to force the acceptance of a particular world-view. That is the reason for the deliberate insistence on ignorance that gets covered up with a variety of explanations. Yet the insistence students arrive at a ‘shared meaning’ and without complaint become merely members of Communities of Learners makes it clear teachers and administrators are expected to have an iron fist within the velvet glove of ‘meaningful learning experiences.’ Now to three exceedingly influential plans driving this underlying tyranny in the classroom. In 2014 the Texas Association of Workforce Boards created the vision for all P-12 in that state, once again showing why they did not need to participate in the Common Core formally–“The Workforce in Texas: Aligning education to meet the needs of Texas employers.” Is that really why people have children in Texas or choose to move there–to be molded to the desired mental states that meet current employers’ needs? Not the desires of the family or personal hopes and dreams based on a lively, logical mind that recognizes when their autonomy is being usurped and can say so? I appreciate the explicit nature of that Texas declaration and the reason I know about it is that the US Federal Reserve System, the world’s most influential public-private partnership, whose product we all carry in our wallets and hit the ATMs to use, just published Transforming US Workforce Development Policies for the 21st Century. https://www.kansascityfed.org/~/media/files/publicat/community/workforce/transformingworkforcedevelopment/book/transformingworkforcedevelopmentpolicies.pdf is the link to the 670 page Warcry to officials and politicians at every level of government to restructure the nature of the political and economic structure in the US, with an emphasis on Public-Private Partnerships. They touted the Texas Statement and especially the vision of economic and community development created by Project Quest in San Antonio, Texas. When the people in charge of a nation’s money supply proclaim Saul Alinsky’s community organizing tactics to be a national model, maybe we have turned quietly into a Police state still hiding behind Euphemisms. Chapter 4 in particular covers the “Connecting Education to Careers in the 21st Century,” which has become the sales pitch, as we have seen, for an education grounded in ignorance and manipulation. Obviously I cannot cover that entire book in a post although I did read it over the weekend, just like I have read Carnevale’s Workplace Manuals. I wish there was speculation about what is going on or that the Kolakowski quotes were not so entirely apt. Over and over again the book acclaims Congress passing WIOA–the Workforce Innovation and Opportunity Act I have been warning about since it passed (July 10, 2014 post). It gets praised regularly as a “Bipartisan and Bicameral Agreement,” making me wonder what legislation that Congress passes is not Bicameral. Alliteration though bolsters the overall giddiness at the nature of the fundamental transformation mandate. It also makes it appear that politicians at every level wanted WIOA because this is the vision the private Federal Reserve already had for the American people, society, the economy, and the future generally. That’s where I want to end because that video and this UN vision can only be attempted in a world of profoundly ignorant or misguided people. As Kolakowski noted, even trying necessitates a police state of power usurping at all levels of government. This is largely hidden though because already prevailing ignorance, false media hype, and these confounding, ubiquitous euphemisms. All obscure the reality lining the Road to 2030 that we keep coming across from every direction. Ubiquitous-another one of those useful descriptions of reality that the College Board no longer wants students to have access to or practice with. Truncated Mind is a new term for what I have previously nicknamed the Axemaker Mind, but to build on what is laid out in my book Credentialed to Destroy , phonetic fluent reading and traditional Algebra build that Truncated Mind. Critical Thinking as defined now by P21 or Richard Paul, Excellence in education, and Competency help build that Actualizing Mind, even if none of the educators implementing its tenets in the classroom have never heard of GERG, any of the Laszlos, or David Loye and Riane. Since the last post I also managed to get my hands on a 1966 lecture the creator of General Systems Theory (GST), Ludwig Von Bertalanffy, gave at Clark University. Titled “Toward a New Image of Man,” Bertalanffy stated that the purpose of GST was to create a model for a new psychological theory suitable for psychosocial change–people, economies, cities, societies. In other words, it fits perfectly with the Social Systems Redesign work we have encountered in the last several posts and also with John Dewey’s vision laid out in my book. Loye was darn forthcoming as well about the need to “focus on human cognition, which shapes human action” in order to create a normative social theory that could close the gap between reality as it now exists and the “ideal developmental forms that must be the prime concern of all policy makers.” From what I can tell the politicians and policy makers at every level and both parties are glad to oblige now in 2015, but no one is being honest about what is up. I think the vision of Heart-Core Learning we met in the last post is Loye’s Actualizing Mind. When Lucien Vattel writes about “a society that grossly overvalues the mind above the heart” and seeks an “education system that values both how we feel and behave, as much as what we ‘know'”, he is laying out the current form of the same argument as Loye and all the rest of the social transformationalists. Move away from the Truncated Mind and the P-12 education that produces it. Go for Deeper, experiential, Whole Child learning achieved through collaborative Projects and authentic role playing experiences–what Vattel called “interacting, playing, and making”–to build that needed Actualizing Mind. Everybody, it turns out, wants to create those very traits of minds the systems thinkers intent on transformational social change globally say they need. How should we feel when we discover that the Convergence Center’s Advisory Board on Re-Imagining Education included a medical doctor known for creating the area of Neurobiology whose vision for ed fits perfectly with Loye’s Actualizing Mind? http://kripalu.org/article/322/ Now when you look at “Awakening the Mind–Neurobiology and You” and its constant references to Mental Well-Being necessary practices, remember all the mandates in the ESEA Rewrite to providing for students’ mental health needs and whatever promotes mental well-being. Does that translate into a legal mandate from Congress to extinguish the Truncated Mind and build the Actualizing Mind in its place? Siegel is at UCLA, which is also where the federally-funded School Mental Health Project is located. Anyone believe Siegels’ references to mental well-being are not designed to turn his desired practices into a legal mandate for all schools? Let me add one more tidbit: there are numerous stories on the Internet that Senator Lamar Alexander’s favorite book is called A God Within by Rene Dubos. Now I recognized Dubos as being frequently in the bibliography of references for most systems thinkers. In its Chapter called “On Being Human” Dubos explained that ‘The God within mankind is the spirit of purposeful and creative adventure.” That certainly sounds like a transformational mindset, especially with all the hype over purposeful behavior and envisioning the future. Maybe Lamar as an ex-Governor really liked the vision from the previous page that “Over most of the world, the homeostatic feedbacks of supply-and-demand economy are giving way to new systems manipulated by government intervention.” Yes, that is unfortunately true and the date of the book’s publication in 1972 also coincides with an overall decline in mass prosperity with plenty of people wondering what has happened since. Note: crony interventions by governments and ‘systems redesign’ starting at the level of the human mind do not work very well, apart from enriching politicians, former ones, and their friends. And we wonder why we have had an uptick in school shootings. What Loye did not say, but I know, because I have several of Rokeach’s books and have written about him and his links to Tranzi OBE is that Rokeach created the educational use of the term Competency to obscure the values and non-mental skills focus of this shift. We can see why the euphemisms ‘Objectives’ and “Outcomes’ also get used to hide the nature of this shift. Anyone else read about Linda Darling-Hammond retiring as a Stanford ed prof to start a Learning Policy Institute recently? Here is a useful fact to keep in mind that Loye just happened to mention right after the Rokeach paragraph. Wow, how’s that for a confession? One of those SRI social scientists, Marina Gorbis, now heads the same Institute for the Future that works with KnowledgeWorks to develop visions for education in the future. The truth is that the same vision has now been pursued for decades by people who turn out to be connected to each other and the same institutions. Only the names for the vision seem to change. Changing the functions and structure at the level of the human mind and then locking it in physiologically. No wonder there has been such deceit. Recently I have been writing fewer posts and talking more in between in the comments as I am inundated with confirmations in books and articles, going back more than 50 years, laying out a consistent vision. Books are the best means to lay out all the interconnections, but the toxicity of this vision and the clear determination to lock it in now at an undisclosed, and unforeseeable neural level, means I have to post red light alerts in the interim. Anyone else have a habit of watching the network news on a somewhat regular basis just to learn what the Powers-that-Be want us to believe about the world out there? That’s how I feel when I go through these explanations for the planned K-12 reforms hiding conveniently behind the Common Core banner. I believe I need to give everyone a heads up on connections like GEFF from the last post and all the various entities and initiatives that matter that are clearly tied to that Advisory Board. In the comments to the last post I put up my original Bela Banathy posts from 2012. Those are pertinent to where we are going today that came out of the GEFF and ISSS connections. 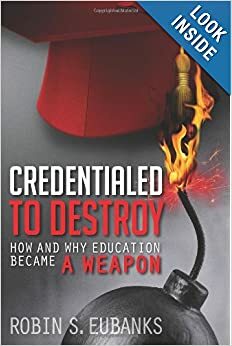 Before we move on I want to tie a crucial point from my book Credentialed to Destroy and these discussions and the current, actual classroom implementation. Remember the discussion of Transformational Outcomes Based Education and its links to Competency laid out in Chapter 4? Well, Bela Banathy worked under William Spady, the named Tranzi OBE co-creator, at the Far West Ed Lab in the 80s. They knew each other and Spady would have been quite familiar with what I have described in those two posts and what I am going to lay out today. Tranzi OBE in fact dovetails nicely with what are now being called by Rand and the White House as Intrapersonal and Interpersonal Competencies. In other words, the ultimate social engineering Manipulation of the Brain and its synapses at a neurological level got to go on, despite bloodshed, with no one being the wiser. If someone noticed the fundamental shift it got attributed to Tranzi OBE without the broader agenda being understood. When the Columbine Tragedy occurred, Tranzi OBE and Spady were smeared and implicated. Spady moved out of the country to do similar work in South Africa and Australia and Tranzi OBE got renamed and broken into interconnected parts. The broader agenda went on. Nobody implicated Bela Banathy or the Laszlos or the Center for Advanced Studies in the Behavioral Sciences. This is a quote from a 2003 paper Kathia Castro Laszlo (very involved at the GEFF Menlo Park conference) published called “Systems Science: Creating Transdisciplinary Knowledge for Conscious Evolution.” She talks frequently and forthrightly about the ‘human science’ that K-12 has quietly become in order to nonconsensually transform “social realities.” She excitedly points out that “humans do not need to be the victims of change–change can happen through us not to us” (her emphasis) and that we can “influence the direction of change through our intentions and actions.” Yes, using the guided perceptions created by the Cross-Cutting Concepts, Core Disciplinary Ideas, Enduring Understandings, and Understandings of Consequence, all coupled to cultivated responses grounded in emotions and deliberately created virtual reality images. Some freedom of choice, huh? A false perception of free choice when everything has actually been carefully manipulated, circumscribed, and controlled via the K-12 classroom. Georgia has renamed what was its Common Core standards as the Standards for Excellence, probably without a politician in this state knowing where Excellence is actually going. The language about becoming conscious of itself is precisely what ‘reflection’ pushed by IB programs means. It is what Metacognition pushed by the OECD and a part of David Conley’s work on what the amorphous mandate “College Ready” actually includes. My point is that what may seem out there in terms of goals is getting written into statutes like the ESEA rewrites that passed Congress this summer or Charters that no one bothers to read. It is incorporated into mandated assessments that are being misleadingly called ‘tests’ to obscure the shift of K-12 education from the assimilation of knowledge into a human science to invisibly force transformational change. Digging into Alexander and Kathia Laszlo’s work after what I had read that the well-connected GEFF planned to do turned up that about 1980 Bela Banathy began what he called Conversations on the Comprehensive Design of Social Systems. They took place regularly in Austria at a place called Fuschl and from 1988 on, in Pacific Grove, California, and those were called the Asilomar Conversations. At first they were centered on deliberately remaking the educational systems around the world, but gradually the aim became to redesign and transform social systems generally. I have been digging through those records and all the confessions contained there, including that CASBS was tied to the infamous Tavistock Institute in London as is systems science generally. The 2012 ‘Conversation’, now moved to St Magdalena/Linz and held under the auspices of the now Gates Foundation-funded IFSR, laid out all the Tavistock connections and the desire to use Participative Design Workshops to push the education and social systems redesign agenda. Now wonder people keep writing about going to a public meeting for discussion and feeling like they have been Delphied. In 2012 a Merrilyn Emery said in a keynote talk we were not invited to at the European Meeting on Cybernetics and Systems research that: “There is one other property of human beings and that property created the need for a genuinely open systems science: it is the demonstrable fact of consciousness defined as ‘awareness of awareness. '” So we never get invited to any of these meetings but their confessions, insights, and intentions do get incorporated quietly into the required assessments no one wants students to be able to opt out of, the adaptive software in their digital learning mandates, or the real definition of College Ready. Today’s title came from this most alarming K-12 vision http://smartblogs.com/education/2015/09/03/know-that-you-have-it-keys-to-self-driven-self-loving-self-supporting-education/ . I could recognize the ties between its vision and what I recognized as being part of what is being quietly mandated for all classrooms, including Whole Child Initiatives, Positive School Climate mandates, unappreciated definitions of mental health and well-being, and Mindfulness practices. I will come back to this in the next post as once again the extent of the interconnections among the true vision being mandated are hard to cover in a blog. Getting back to what appears to be an impossible vision being mandated, please click through to the Game Desk website and notice who is funding this Heart-Core vision. When AT&T, the Gates Foundation, and the National Science Foundation are among the listed funders, you do not have to be the author of one well-documented book on education and be in the process of writing another, to conclude this is coming to a classroom near you soon. This is a vision that already assumes we are “a collective” and “a society that grossly overvalues the mind over the heart.” It fits right in to where Csik, Bela Banathy, and the Laszlos, just for starters, have all said repeatedly they intend to use K-12 education to take us to. In order to obstruct the use of K-12 education as a nonconsensual Human Science, we have to wake up to the reality of that very deliberate shift going on all around us. With the United Nations convening on the Post-2015 plans for us building on all this later this month, there is no time to wait.